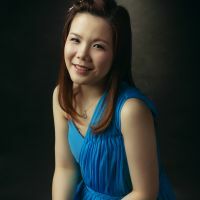 Additional Info: Anna Chiu, a M15 based experienced accompanist is available for rehearsals, recitals, recordings, exams and competitions. Graduated with Master of Performance in Piano Accompaniment at the Royal Northern College of Music, Manchester, Anna Chiu Hoi Ching studied under the tutelage of David Jones. She has participated in masterclasses given by Malcom Martineau, John Mark Ainsley, James Baillieu, Julius Drake, Helen Cha and Amy Sze. Anna was selected as one of the Leeds Lieder Young Artists 2018 and performed at the Breakfast Concerts. She won the Piano Prize in the 2018 Chris Petty English Song Competition and has participated in events such as a Claude Debussy Mélodies Workshop as part of the RNCM Debussy Centenary Conference and a Melofonetica Workshop. She has participated in recitals at St. Ann’s Church, Manchester, and, as a member of RNCM Songsters, she took part in the 2018 Day of Song and 2017 Open Day. She was the pianist for the concert Boulanger’s Legacy (RNCM Chamber Choir, conducted by Stuart Overington) in the RNCM 2018 Chamber Music Festival; pianist for Look at the World with John Rutter (concert, singing day and conducting masterclass, conducted and led by John Rutter); worked with the RNCM Chamber Choir in preparation for their performance of J. S. Bach’s St. John Passion in 2017; pianist for Les Misérables (Christopher Cheng and the Hong Kong Youth Choir) in 2014. As a harpsichordist, Anna won the Brodsky Cross-School Prize with The Lucrezia Trio in 2017. She has also played chamber organ with the RNCM Baroque Soloists. Anna is very grateful for the support of the Milton Waring Award for her study at RNCM in 2018.